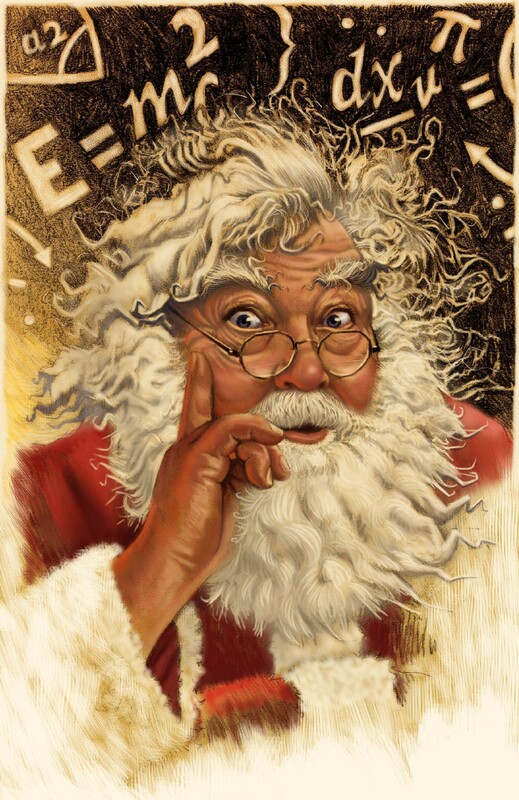 Read Mone’s opinion and others in today’s New York Times “Room for Debate: The Truth About Santa” article. When and how parents decide to “come clean” about Santa is entirely up to them, but encouraging a child to think about Santa AND science is definitely cool. Keep in mind, even at the age of 28, at my parent’s house if you don’t believe you don’t receive. I read this pretty interesting article this morning after it showed up on my Google Alerts. Lots of really amazing things for parents (and the rest of us) to think about! What do you think? How significant is that first pink or blue jumpsuit or the type of mobile hung above your newborn’s crib when it comes to prepping your child for a STEM (science, technology, engineering, math) career? The article documents a phenomenon common in girls (and women) where we internalize poor performance or poor grades a negative reflection of ourselves and our abilities, all to often leading in the misconception at an early age that girls “aren’t good at math or science”. The reverse is true of boys (and men I would argue), they externalize these challenges and are likely to attribute poor performance on a test not as a reflection of not being smart enough, but of not being ready for the test, or the teachers picking unfair questions, etc. What I love about this article is that on top of giving parents tips it also emphasizes the core of all programs: stress the utilitarian aspect of how math, science and technology careers. Girls want to know how these careers help people and make the world better, that’s what makes these opportunities exciting and meaningful to them!